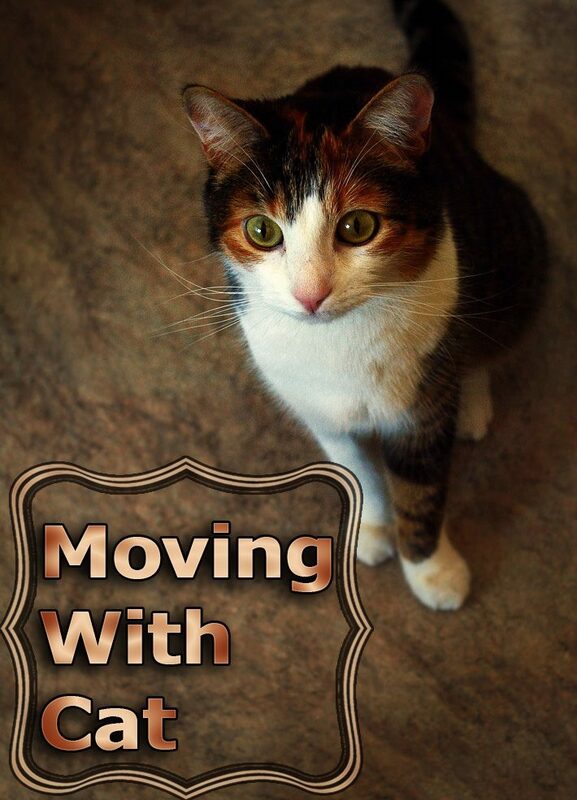 Moving home is a stressful enough occasion for humans, but can be even worse for the feline members of the family who tend to relate to familiar surroundings, and of course can’t understand what is going on. Once you know you will be moving house, you need to decide if it might be better if your cats should stay in a boarding cattery for a couple of days, or whether they’ll move house on the same day as you. If you are going for the cattery option, make sure that you check out a good cattery well in advance of your move, and also check that your cat’s vaccination certificates are up-to-date, with any boosters given more than seven days before you check them in for their mini-break. This option will give you peace of mind, and you then won’t be worried about your cat escaping either end of the move because doors or windows have been left open, or someone has forgotten to close the cat flap! You would also be best to go for this option if you are going to an old house and have had the timbers treated for woodworm and other pests before you move in. Cats are very susceptible to chemicals of this kind, which might leave them wheezing or could even have a detrimental long-term effect on their health if they inhale the fumes. If, however, you choose to go for the second option, you will need to be very careful that your cat doesn’t try and escape from your old house whilst everything is being moved out, as they will be very unsettled by all the noise and movement – and with doors frequently opening and closing, it would be easy for them to hide outside and watch proceedings from a safe distance. If you can, it’s a good idea to clear one small room the day before the big move, and then shut your cat in there with a cosy bed, water and a litter tray so that they are safely out of the way until you are ready to close the front door for the last time. It would be useful if you could lock this room so that nobody accidentally lets the cat out, or else put a big notice on the door to remind everyone that they are in there! 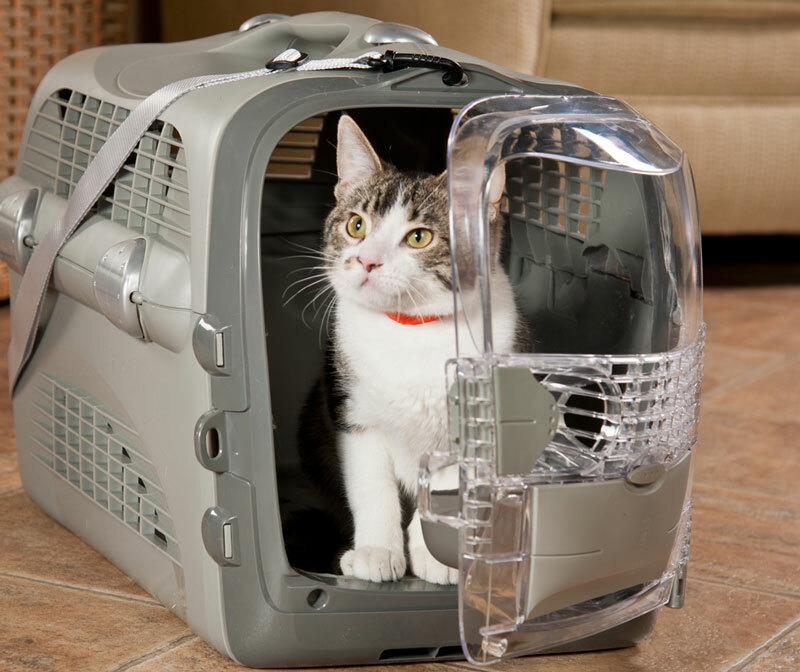 If your cat is moving on the same day as you, make sure you have got a very secure carrier to put them in, with nice comfy bedding – they might be extremely relaxed normally, but once you set off it will be safer for you and for them if they are restrained for the duration of the journey. Also make sure that you put their bowls and favourite food in an accessible bag, together with some bedding that smells of you and the old house, to provide something familiar when you arrive at the new house. 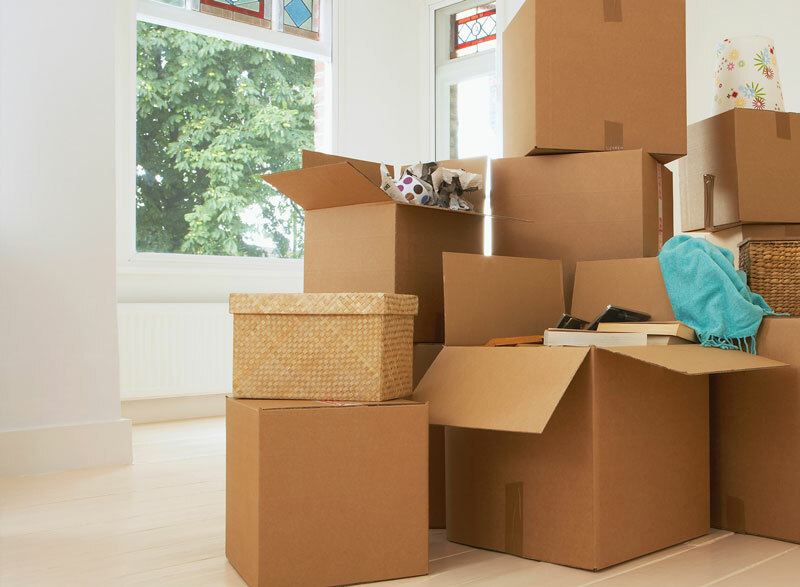 Before you arrive at the new house, try and identify a room that you can either have the contents put into as soon as you or your removal company start to move your possessions in, such as a utility room, or maybe find a room that you can move things into later yourself once everything has quietened down, like a study – and then keep it as a peaceful haven for Puss. It’s best not to put them in the bathroom whilst you’re moving in, as sooner or later someone will open the door, and your cat will probably make a bid for freedom. Wherever you give them as their temporary sanctuary, you will need to put a big notice on the door to remind everyone not to go in that room until you have finished bringing everything in. 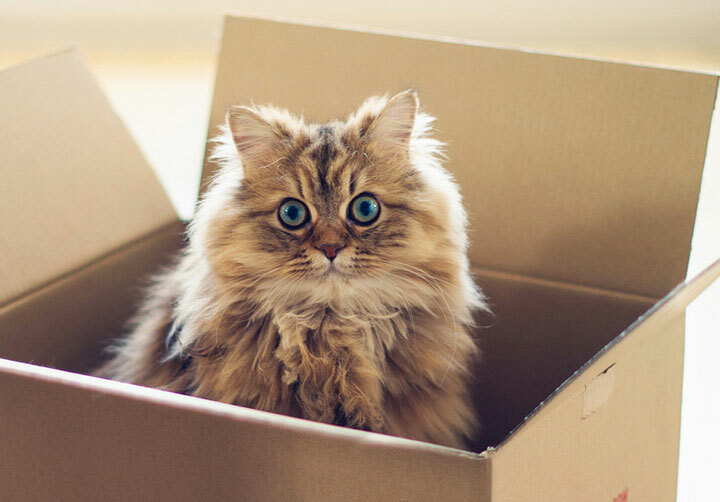 Once all your belongings have migrated into the new house, the removals men have gone, and things have quietened down a bit, you should be able to let your cat out from their retreat to inspect their new surroundings. However, before you do this, make sure that all the doors and windows are closed, and that if there is already a cat flap, that this is firmly shut so that they cannot escape. If your cat is used to going outdoors, they will need to adapt to a litter tray for a week or so, as if they go out at too early a stage they won’t know where they are or be able recognise their territory to come home safely, and if they happen to have a fight with a neighbour’s cat (who will no doubt resent the new arrival), you may not see them again! 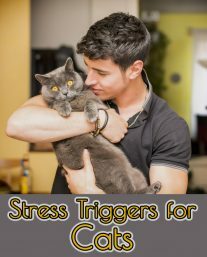 Your cat might temporarily choose to relieve himself somewhere in the house other than in the litter tray as a mark of protest against the upheaval, as cats hate any change to their routine, but try and be patient with this as they should return to normal as soon as they feel comfortable in their new home. 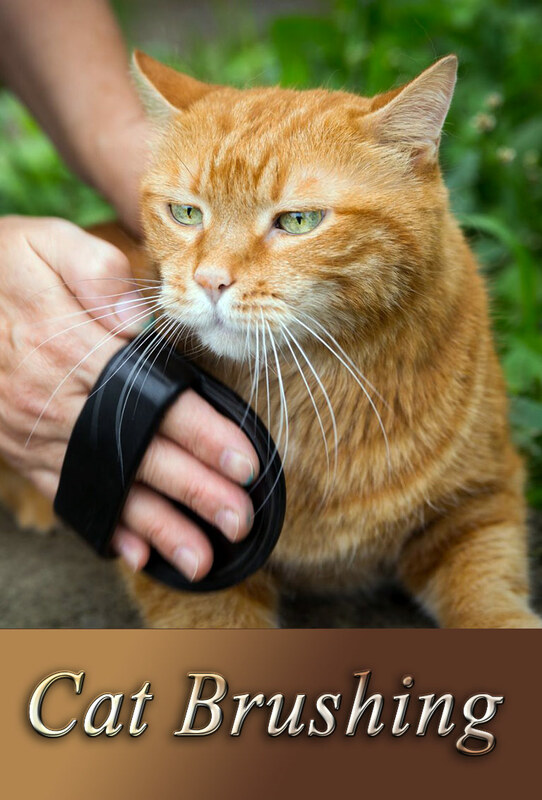 It’s a complete fallacy that buttering your cat’s paws will give them something to do so that they won’t run away. Given the chance to try and return back to the way things were, they will probably be on the lookout for a means of escape for a couple of weeks until they have settled in, adapted to their new surroundings and feel that it is home. If you haven’t already got your cat micro-chipped, now would be an ideal time to do it – and if they have already been chipped, don’t forget to update your details, just in case. 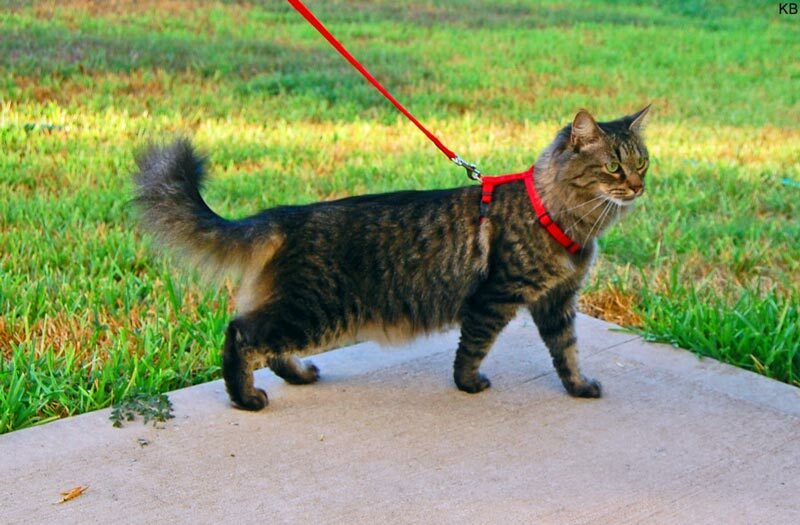 When you do let your cat out (if they are not an indoor cat), it’s a good idea to do it before a mealtime so that they will come back for supper. But wait until they decide for themselves they are ready to explore the great wide world outside as some cats are very nervous about a new environment, and then only let them out for short periods to begin with, ideally at a time when you can supervise them.